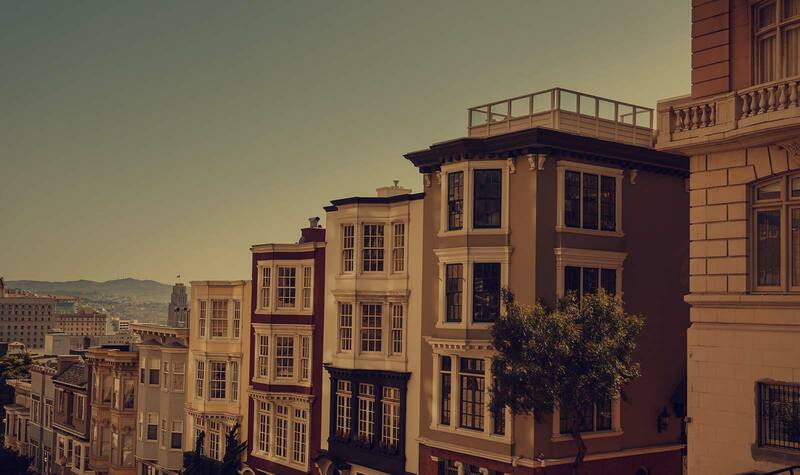 When local laws restrict the conversion of existing buildings to condominiums and cooperatives, tenancy in common (TIC) co-ownership provides a legal and generally less expensive alternative to buying a condo or coop. In a TIC, the co-owned building is not divided into separate parcels, and no one owns a specific space. The tenant in common owners create a condo-like arrangement by signing a contract giving each owner an exclusive right to use a specific home, apartment and/or other area. This arrangement is most often used for apartment buildings, but is also becoming popular for land with multiple single-family homes and for commercial property. How common are tenant in common disputes? From a statistical standpoint, TIC disputes are relatively rare. Based on my experience with more than 3,000 tenancy in common groups over the past 26 years, fewer than 3% of TIC groups require dispute resolution during the course of their existence. However, tenant in common disputes, like all disputes involving neighbors, are disruptive and unpleasant and, understandably, the owners involved tend to complain frequently and vehemently to anyone who will listen. This phenomenon can make these disputes seem more common than they actually are. Do TICs tend to have more disputes and enforcement problems than condominium associations? The frequency of TIC disputes is approximately the same as that of similar-size condominium homeowners associations. For both TICs and condos, smaller groups are more likely to require dispute resolution, with two-unit associations leading the pack. The percentage of TICs that are small is far greater than the percentage of condo associations that are small, and this can make it seem like TIC disputes are more common. In addition, there are many TICs without TIC agreements, with self-prepared agreements, and with agreements prepared by inexperienced attorneys. By contrast, condominiums are required by law to have documents, and condo documents must meet specific legal requirements. If one compares, for example, three-unit TICs with proper agreements to three-unit condo associations, the incidence of disputes is virtually identical. What laws govern tenant in common co-ownership? Whenever two or more people co-own, they automatically become a tenancy in common unless the deed specifies another form of co-ownership. But the fact that co-owners own as tenants in common does not mean they have exclusive occupancy rights to particular spaces. The condo-like TIC arrangements that are the subject of this article are a relatively small and new subset of the larger world of tenancy in common co-ownership. A substantial body of general law, stretching back to 17th century England, governs all tenancies in common, including the relatively new-fangled condo-like TICs. Some of this law can be useful in resolving today’s TIC disputes, particularly where the parties have no written agreement (see for example, the discussion of partition and forced sale below), but most of it is too general and too far removed from modern TIC arrangements. Civil Procedure Law governs some aspects of TIC agreement enforcement and dispute resolution. Tenant in common co-owners are free to shape most aspects of their relationship in their TIC agreement, but the general law remains significant in two ways. First, where a provision of a TIC agreement conflicts with the law, it is invalid and unenforceable. Second, where the TIC agreement is silent on a particular issue, or conflicting terms make it impossible to determine the parties’ true intention, the matter will be resolved under the general law. From an enforcement standpoint, what are the main differences between TICs and condominiums? The Need To Sign: The primary governing document for condominium owners (generally called the “Declaration of Covenants, Conditions and Restrictions” or “CC&Rs”) is recorded in County records and automatically binds each person who becomes a condo owner. TIC agreements generally cannot be recorded (because doing so would create an illegal subdivision) and should be signed by each owner. If someone becomes a tenant in common without signing the TIC agreement, it is more difficult to enforce the agreement (as further discussed below). No Non-Judicial Foreclosure: Wh en a condo owner fails to pay an assessment, the other owners can use the same non-judicial foreclosure procedure that banks use when a borrower doesn’t pay his/her mortgage. While this system does not always function perfectly, it generally results in a sale of the defaulting owner’s condominium in about four months with no court involvement and minimal expense to the other owners. Non-judicial foreclosure is not available in most TIC arrangements, and the alternative is generally slower, more expensive and less reliable (as further discussed below). More Shared Obligations: In both condominiums and TICs, some expenses are paid by the group and reimbursed by the owners through ownership dues. For condos, shared expenses typically include insurance, common area maintenance, and utilities such as water/sewer service and refuse collection. TICs often also share a single property tax bill and a mortgage. More shared costs create a greater likelihood of owner default, and increase the magnitude of the resulting shortfall. In addition, more shared obligations, and particularly a shared mortgage, complicate the process of forcing sale of a defaulting owner’s interest. How are TIC agreements typically enforced? The requirement that the defaulting owner provide seller financing if necessary to ensure that his/her share can be readily sold. Forced sale is not the only remedy available when a tenant in common violates the TIC agreement. The other owners can also seek money damages, and orders compelling the defaulting owner to perform or stop performing some activity. But forcing sale is unique in that it provides a permanent solution, and eliminates the possibility of a repeat dispute with the same owner. Does forced sale or other TIC enforcement involve a long and expensive legal battle? For better or worse, our legal system is designed so that each person is free to accuse, and is guaranteed an opportunity to respond to others’ accusations before a consequence arrives. These attributes prevent a group from enforcing its own agreement, and instead require that an outside person, such as a judge or arbitrator, participate in dispute resolution and oversee the enforcement process. There is considerable debate about whether public (judge/jury) or private (arbitration) systems are more efficient. Most TIC agreements rely on binding arbitration, which is typically faster but just as (or even more) expensive than going to court. But one of the primary attributes of a good TIC agreement is its effectiveness at avoiding the need for dispute resolution, and keeping most of the enforcement process out of the hands of a judge or arbitrator. What can TIC owners do to minimize disputes? Money: How and when are the budget adopted and the monthly payments set? Are the monthly payments sufficient to pay all the bills (including property tax and insurance), and the ongoing repair and replacement of major building components? Management and Spending: Is there a specific person responsible for paying the bills and operating the building? Does the manager have enough autonomy to operate the building efficiently? Noise: Who decides when something is too noisy? When can an owner require noise mitigation steps, such as floor covering, no shoes, or additional sound insulation? Pets: How many are permitted, what sizes and types, and where on the property are they allowed? If pets are allowed in the yard, must owners accompany them to “scoop” droppings? Parking: What vehicle size and placement limits apply, and do these limits contemplate changes in ownership and vehicles? What can an owner do when another owner parks improperly? Storage: When can an owner place or store items outside of his/her unit? What can an owner do when another owner places a personal item in the hallway, garage, or rear yard without prior discussion and agreement? Refinancing: Can an owner access his/her equity, or refinance to facilitate a sale, without approval of the other owners? If so, who pays refinancing costs, what happens if interest rates are higher, and how is the equity of the other owners protected? Another tactic useful to minimize tenancy in common disputes is adopting a schedule a fines and penalties for specific violations. Fines and penalties deter violations by making the consequences seem more immediate and clear, and ease enforcement by converting the dispute from one about conduct to one about money. It is also important to act promptly when a violation occurs. Tolerance leads to uncertainly about the importance of respecting the agreement, which, in turn, leads to more brazen violations and greater difficulty when the decision to enforce is finally taken. Yet another key dispute minimizing strategy is to require that each tenant in common make a relatively high down payment. When a co-owner has more to lose, he/she tends to avoid violating the TIC agreement, and to favor compromise over battle. Moreover, a larger down payment increases the likelihood that TIC group will recover all its losses and costs if it must pursue a forced sale process through to completion. What should a tenant in common owner do if he/she thinks another owner is violating the TIC agreement? The first step in enforcing a TIC agreement is documenting the violation by collecting proof. For nonpayment violations, documenting the violation means establishing that the payment was due at a particular time, and that the nonpaying owner knew it was due. For behavioral violations, documenting the violation means collecting photographs, recordings, witnesses or other concrete evidence. The next step is preparing the written demand or notice required to begin enforcement under the TIC agreement, and following through with each subsequent step as soon as the agreement allows. In practice, the vast majority of TIC disputes are resolved informally by the parties themselves, and almost all of the rest are resolved through mediation. The success rate of co-ownership mediation in our office is above 80%. But beginning with formal steps like collecting proof and giving formal notice of violation encourage the violating owner to participate actively in informal resolution or mediation, and create the foundation for quick and cost-efficient enforcement if mediation fails. What happens if a dispute arises regarding an issue not covered in the TIC agreement? There are three principal ways courts and arbitrators resolve questions that are not addressed in the TIC agreement: (i) by extrapolating from past practice of the owners in analogous situations; (ii) by examining how the agreement resolves similar issues; and (iii) by referring to customary practices. Since none of these methods is straightforward or reliable, it is important for the TIC agreement to clearly address as many issues as possible, even if this makes the document seem unnecessarily long and strict. Short and simple is not best, and it is far easier for the owners to decide not to strictly enforce a strict provision than to try to enforce a loosely written “we’ll just work in out” provision. What happens if a TIC agreement is not signed by all the tenant in common owners? A co-owner who has not signed the tenancy in common agreement can claim that he/she is not bound and, for example, entitled to occupy any apartment he/she desires (including one already occupied by another owner). Other owners can point to past conduct by the non-signing owner that implies that he/she agreed to the terms of the contract, such as participation in the agreement creation process, past adherence to the terms of the agreement, or acquiring an interest in the property with knowledge that an agreement existed, but this approach is not always successful. This is why it is so essential to ensure that each of the original tenants in common, and each person who later acquires an interest in the property, signs the TIC agreement. In a community property state, it is also important to make sure that each spouse or domestic partner of an owner either signs the agreement or signs a quitclaim deed clarifying that he/she will not become a co-owner over time through the community property laws. One way for tenant in common owners to protect themselves against the risk posed by a co-owner who has not signed is to create a “memorandum of agreement”, and record it with the County Recorder of the county where the property is located. A memorandum of agreement is a short (typically 1-2 page document) stating that the tenant in common owners have an agreement but not describing its terms. Recording a memorandum of agreement with the County Recorder creates a legal presumption that the non-signing owner should have known about the agreement, making it much more difficult for that person to successfully claim he/she is should not be bound. Even groups that are diligent in requiring all co-owners to sign the TIC Agreement should record a memorandum to protect themselves from people that might become owners indirectly, such as heirs of a deceased owner or creditors of a bankrupt owner. What happens when tenant in common owners do not have a written agreement? TIC owners without a written agreement can try to rely on their informal or oral arrangements, but these can be impossible to prove or enforce if the owners disagree about what those arrangements are. Sometimes, the unwritten arrangements can be demonstrated by a pattern of past practice. But in most cases, tenancy in common groups without a written agreement are forced to fall back on the two main principles of general law applicable to tenancy in common ownership: the “right of contribution” and the “right of partition”. The right of contribution makes each tenant in common owner responsible to pay his/her percentage share (as shown on title to the property) of all necessary and legitimate expenses, and each owner who pays more than his/her share can collect the difference from the owner(s) who did not. The right of contribution is somewhat clumsy in practice because it assumes that every expense is shared only by those on title, and then only in the exact percentage in which these people hold title. Also, it can be difficult to establish which expenses are necessary and legitimate and therefore subject to reimbursement, and how these expenses should be offset by non-cash benefits such as living in a particular apartment. Typically, the court in which a tenant in common owner seeks contribution from another owner must undertake a time-consuming and expensive accounting process. This is one of the many reasons for having a written TIC agreement, which supersedes the right of contribution and eliminates the associated complexities and costs. The right of partition gives each tenant in common owner the ability to force a sale of the tenant in common property at any time. When an owner files a partition lawsuit, a court-supervised sale automatically follows; the owner seeking forced sale does not need to provide a reason or justification. Sale proceeds are divided according to percentages shown on title, unless an owner can prove that some other agreement (written or unwritten) exists. The division of proceeds is then subject to the right of contribution (described in the preceding paragraph), making the court-supervised accounting process that follows partition slow and costly. Partition is a blunt weapon in the sense that it ends the co-ownership and forces everyone out. This can be useful for an owner who is ready to go, but a serious threat to one who prefers to stay, and even worse for one who’s true financial position is not accurately represented by title percentages. The lack of nuance in the partition process, coupled with the difficulty of proceeds allocation, are further reasons for having a written TIC agreement, which generally limits the right of a co-owner to seek partition and clarifies how sale proceeds are allocated. SirkinLaw APC is a pioneer in the area of tenants in common (TIC) arrangements involving occupancy rights assignments, which are often used as a substitute for subdividing a property when true subdivision is impossible or unduly expensive. In 1985, Andy Sirkin created the legal and transactional structure which has become the industry standard for this type of TIC. Over the succeeding years, Andy’s innovations have included being the first state-approved real estate instructor for occupancy-based TICs, being the first to obtain state approval for a large-building TIC sale, being the first to convince institutional lenders to offer individual TIC financing, and being the first to develop the loan documents and lender underwriting guidelines for fractional TIC financing. In recent years, the type of co-ownership arrangement Andy conceived nearly 25 years ago has grown to comprise approximately 1/3 of all attached-home sales in San Francisco.?? SirkinLaw APC has prepared close to 3,000 occupancy-based TIC agreements for properties of every size and type, and continues to assist in the vast majority of these transactions in California. This unmatched level of experience allows us to offer time-tested approaches for the vast majority of co-ownership situations, to quickly and effectively solve problems, and to produce documents that are clear, easy to navigate and read, and efficient and cost-effective to enforce. We continue to improve our documents each month as we encounter new situations and learn more about what TIC arrangements perform best in the real world. We also share our accumulated knowledge, and support real estate professionals and the TIC community, by continuously publishing new articles on our website and offering free educational workshops.? ?